NEW YORK (AP) — The president of Chad became enraged four years ago after a Chinese oil and gas company tried to bribe him with $2 million cash secreted in gift boxes, a Senegalese diplomat told a federal jury Wednesday. Gadio brokered business meetings between Deby and Dr. Chi Ping Patrick Ho, a prominent Hong Kong businessman on trial on bribery and money laundering charges. Ho also is accused of lining the pockets of the Ugandan foreign minister and violating the Foreign Corrupt Practices Act. Ho’s defense attorneys have argued the cash was a charitable donation that was documented. They say Gadio’s testimony should not be trusted and contradicts a paper trail of records. Gadio was indicted in the case, but federal prosecutors dismissed the charges in exchange for his testimony, the most anticipated of the trial. 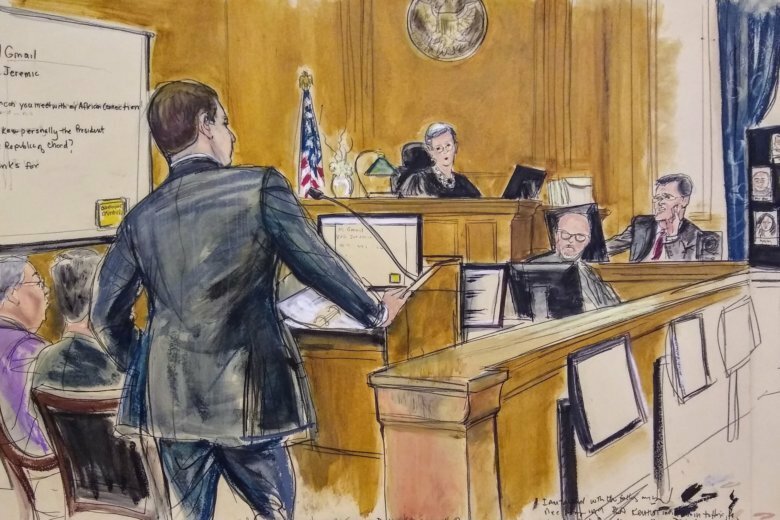 Prosecutors originally accused him of playing “an instrumental role” in the bribery scheme, connecting Ho to high-ranking African officials and receiving $400,000 for his efforts. Prosecutors say that money, wired to Gadio’s consulting firm, was sent through a bank in Manhattan — one of the case’s ties to New York. Gadio told jurors Wednesday that Ho was “impressed” by Deby’s refusal to accept the cash. Representatives of CEFC China Energy then claimed the money had been intended all along as a donation to the Chadian government, he said. Ho’s defense attorneys contend CEFC China Energy received nothing in return for the cash payment. But prosecutors allege the company was offered the oil rights “without international competition,” though it ultimately purchased other oil rights in Chad from a Taiwanese company.